In May, Bo and I attended the ISSFAL Conference, a biannual event that gathers omega-3 researchers from all over the world to join scientists from universities like Harvard, Stanford, and Texas A&M here in the United States. It was a time to share the findings from the latest omega-3 studies, learn, and collaborate. The number of presenters and the amount of information stuffed into an action-packed few days at times felt overwhelming, even for two dedicated omega-3 enthusiasts like us. But one important message did hit home: The omega-3 index could be a helpful indicator of various health risks, and we should all be paying closer attention to this measurement. The omega-3 index is a measure of the amount of EPA and DHA omega-3 fatty acids in the red blood cells. The higher the number, the more EPA and DHA you have in your body. Since 2004, scientists have been suggesting that the omega-3 index be used as a way to measure a person’s risk of cardiovascular disease, in a similar way to how cholesterol levels are used today (1). A recent study funded by the National Institutes for Health even indicated that the omega-3 index could be a better predictor of death risk than serum cholesterol levels (2). The omega-3 index is also important because it is inversely related to one’s omega-6 to omega-3 ratio — another important measurement (3). A lower omega-6/omega-3 ratio (meaning, you consume a balanced amount of these two fatty acid families) is associated with a reduced risk of many chronic diseases, including cardiovascular disease, cancer, and autoimmune disease, to name a few (4). Of course, most people get far too much omega-6 and too little omega-3, thanks to the plethora of highly processed foods in the Western diet. What Is A Good Omega-3 Index? Only fish and breast milk contain all the members of the omega-3 family, including its two main stars, EPA and DHA. Because Americans as a rule consume far too few omega-3s from fish or fish oil, it’s no surprise that the majority of Americans have low omega-3 index levels as well. A recent study of global omega-3 index levels found that an estimated 95% of Americans (with the exception of folks from Alaska) had an omega-3 index of 4 or below, putting them in the high risk category (5, 6, 7). These low levels are especially bad when compared to the numbers from the Japanese population. In Japan, the average omega-3 index level is more than double that of the average American, with some surveys showing Japanese men consume over 100 g (approximately 3.5 oz) of fish every day. These radically different dietary habits help explain how even those with omega-3 indexes in the lowest 5th percentile of the Japanese population have higher omega-3 index averages than most Americans (8). 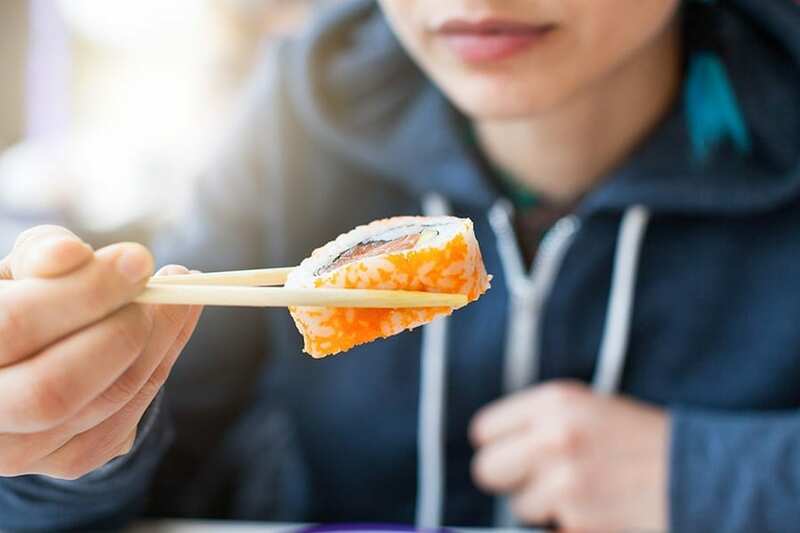 The Japanese notably have the lowest levels of coronary heart disease mortality and atherosclerosis among developed nations — a phenomena that has been largely subscribed to diet. However, even within Japan, a 10-year study of over 41,000 people found that higher intakes of omega-3s were associated with lower risks of nonfatal coronary events (8). A more recent study also found that Japanese with higher omega-3 index levels (10%) had a lower risk of fatal coronary heart disease than those with a lower omega-3 index levels (8%) (9). The study begs the question of whether maybe even the Japanese have room to improve their omega-3 intake and whether 8% should be considered the lower limit of a desirable range. A recent study of global omega-3 index levels found that an estimated 95% of Americans had an omega-3 index of 4 or below. Measuring omega-3 index levels is important for several reasons. For one, the omega-3 index allows you to really evaluate how much EPA and DHA is integrated into the cells and available for fundamental metabolic functions. We’ve written about the dose necessary to achieve measurable benefits before. However, a person’s actual omega-3 intake can be tricky to estimate. Even if you eat at least two servings of fatty fish per week, as the American Heart Association recommends (10), your fish might contain more or less omega-3s depending on the fish species, the time of year, and how you cook it. 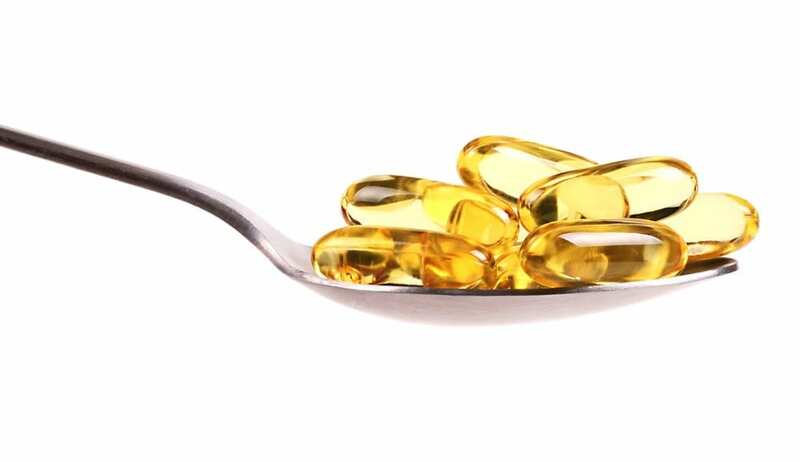 Even taking fish oil supplements isn’t always straightforward, as dose can be impacted by numerous bioavailability factors, as well as genetics, age, gender, medication-use and lifestyle. If you get your omega-3 index measured, you’ll know if your current efforts are sufficient. And this knowledge is especially important given that even health-conscious people are not always self-aware. One survey found that in a group of people with omega-3 index levels in the intermediate risk range, some 30% believed they were consuming enough omega-3s (11). One registered dietitian wrote a compelling story about exactly this experience. She discovered she was in the intermediate range, in spite of her intentions to eat enough fish. In Japan, the average omega-3 index is more than double that of the typical American. Studies indicate this is largely due to dietary differences. 1. Eat more fatty fish, like salmon, sardines, mackerel, etc. 2. Commit to taking an effective dose of fresh, full-spectrum Omega Cure® (one tablespoon or vial daily). We typically find that when people do, their omega-3 index levels measure around 10 – 12%, although there are variations from person to person. 3. Practice these dietary changes for 4 months before reassessing your level. The reason to wait is it that does takes some time for the omega-3 fatty acids to get fully absorbed. As you work on increasing your omega-3 intake, you can also further lower your omega-6 to omega-3 ratio by decreasing your omega-6 intake. Do this by decreasing your consumption of omega-6-rich foods, like pizzas, donuts, french fries and other fast foods. The omega-3 index also matters because of its implications for research. For some time, there has been confusion about whether fish oil supplements are effective or not. 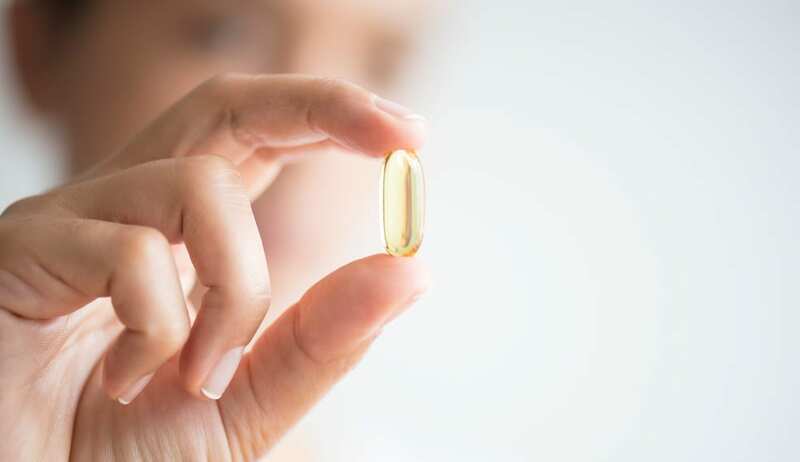 But as some scientists have pointed out, looking at omega-3 index levels could clarify whether study participants are actually getting enough EPA/DHA to make a difference. Plus, measuring omega-3 index levels could help measure compliance rates too. To date, over 200 published papers have measured the omega-3 index levels of their participants, and we hope that more researchers will follow suit (1). As mentioned above, the omega-3 index has been suggested as a predictor of the risk of coronary heart disease and other cardiovascular events. 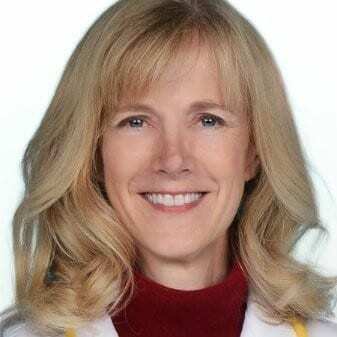 One study on a population in Seattle found that people with low omega-3 index levels were 10 times as likely to die from sudden cardiac death compared to people with higher omega-3 index levels (13). The NIH-funded Framingham study referenced above showed that the people with the highest omega-3 index levels had a 33% reduction in risk of death from any cause compared to the people with the lowest levels (2). In addition, a new study focused on individuals age 25 to 41 found that higher omega-3 index levels were associated with lower blood pressure in healthy adults (14). The omega-3 index may also be helpful for assessing health risks beyond cardiovascular disease. Studies are currently investigating the relationship between omega-3 index levels and mental health issues, like depression (15, 16, 17), cognitive functioning (18, 19), body weight (20), as well as eye health issues, like macular degeneration (21), to name just a few. Today, some doctors are starting to measure the omega-3 index levels of their patients, just like they do with cholesterol levels. 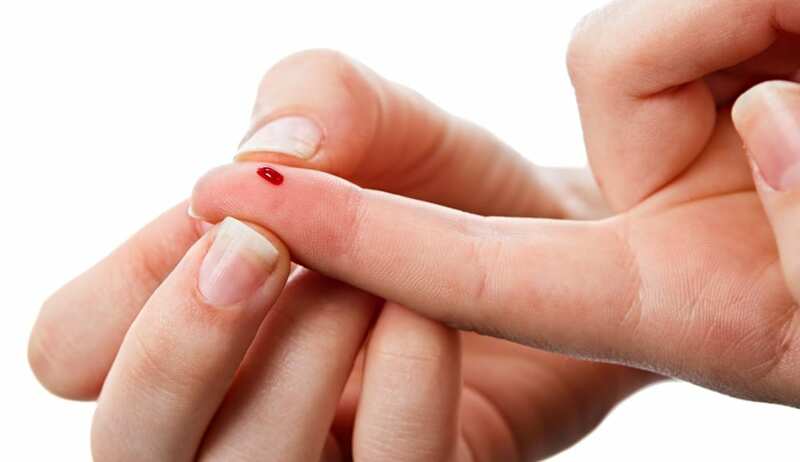 However, if your doctor does not offer this, several companies provide a quick and easy blood test you can conduct yourself, including OmegaQuant. This company is run by by Dr. William Harris, one of the scientists who initially developed the concept of the omega-3 index. Bo and I worked with Dr. Harris many years ago to measure the impact of eating one Omega Cookie® daily on the study participants’ omega-3 index levels, and we recently ran into him at ISFFAL. At the conference, we remeasured our omega-3 index and omega-6/omega-3 ratios, and a few weeks later, we got our results in the mail. For the two of us, it was exciting to get another concrete measure of how our daily omega-3 consumption impacted our scores. For the record, we take one vial of Omega Restore™ per night and frequently sneak an Omega Heaven® or Omega Cookie during the day. If you are similarly interested in getting your omega-3 index measured, we recommend looking into OmegaQuant or asking your doctor about it. 2. GOED. Study Shows Omega-3 Levels Better Predictors of Death Risk Than Serum Cholesterol. EurekAlert!. March 15, 2018. 3. Holub, Bruce J et al. Correlation of Omega-3 Levels in Serum Phospholipid from 2053 Human Blood Samples with Key Fatty Acid Ratios. Nutrition Journal Volume 8. December 24, 2009. 4. Simopoulos, A. The Importance of the Ratio of Omega-6/Omega-3 Essential Fatty Acids. Biomedicine & Pharmacotherapy Volume 56, Issue 8. October 2002. 5. Daniells, Stephens. Could Widespread Low Omega-3 Levels Be Putting American Hearts at Risk? Nutra-Ingredients-USA. December 10, 2015. 6. The Omega-3 Index Project. 7. Stark, Ken D et al. Global Survey of the Omega-3 Fatty Acids, Docosahexaenoic Acid and Eicosapentaenoic Acid in the Blood Stream of Healthy Adults. Progress in Lipid Research Volume 63, 2016. 8. Sekikawa, Akira et al. Marine-Derived N-3 Fatty Acids and Atherosclerosis in Japanese, Japanese Americans, and Whites: A Cross-Sectional Study. Journal of the American College of Cardiology Volume 52, Issue 6. August 5, 2008. 9. Harris, William. Redefining Target Omega-3 Index Levels: The Japan Public Health Center Study. Atherosclerosis Volume 272, May 2018. 10. Fish and Omega-3 Fatty Acids. American Heart Association. October 6, 2016. 11. Thuppal, Sowmyanarayanan V et al. Discrepancy between Knowledge and Perceptions of Dietary Omega-3 Fatty Acid Intake Compared with the Omega-3 Index. Nutrients Volume 9, Issue 9. August 24, 2017. 12. Flock, Michael R. et al. Determinants of Erythrocyte Omega‐3 Fatty Acid Content in Response to Fish Oil Supplementation: A Dose–Response Randomized Controlled Trial. Journal of the American Heart Association: Cardiovascular and Cerebrovascular Disease Volume 2, Issue 6. December 2013. 13. Von Schacky, Clemens. Omega-3 Index and Sudden Cardiac Death. Nutrients Volume 2, Issue 3. March 2010. 14. Schultz, Hank. Omega-3s Shown to Lower Blood Pressure in Young Adults, Helping to Redefine ‘Healthy Aging.’ Nutra-Ingredients-USA. June 28, 2018. 15. Bigornia, Sherman J et al. The Omega-3 Index Is Inversely Associated with Depressive Symptoms among Individuals with Elevated Oxidative Stress Biomarkers. The Journal of Nutrition Volume 146, Issue 4. April 1, 2016. 16. Parletta, Natalie et al. People with Schizophrenia and Depression Have a Low Omega-3 Index. Prostaglandins, Leukotrienes and Essential Fatty Acids Volume 110. July 2016. 17. Meyer, Barbara J. et al. Baseline Omega-3 Index Correlates with Aggressive and Attention Deficit Disorder Behaviours in Adult Prisoners. PLoS ONE Volume 10, Issue 3. March 20, 2015. 18. Hooper, Claudie et al. Cognitive Changes with Omega-3 Polyunsaturated Fatty Acids in Non-Demented Older Adults with Low Omega-3 Index. Journal of Nutrition, Health and Aging Volume 21, Issue 9. 2017. 19. Lukaschek, Karoline. Cognitive Impairment Is Associated with a Low Omega-3 Index in the Elderly: Results from the KORA-Age Study. Dementia and Geriatric Cognitive Disorders Volume 42. 2016. 20. Albert, Benjamin B et al. Higher Omega-3 Index Is Associated with Increased Insulin Sensitivity and More Favourable Metabolic Profile in Middle-Aged Overweight Men. Scientific Reports Volume 4. October 21, 2015. 21. Merle, Benedicte et al. Circulating Omega-3 Fatty Acids and Neovascular Age-Related Macular Degeneration. Investigative Ophthalmology & Visual Science Volume 55, Issue 3. March 28, 2014.